UK Finance, who recently absorbed the industry body formerly known as the ABFA, have just reported on their year-end statistics for 2017, for the invoice finance and asset based lending market amongst their members. 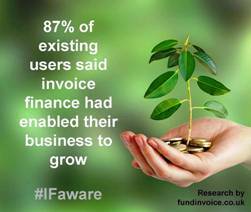 It is important to note that not all invoice finance companies are members of the UK Finance industry body, however the figures do represent a large proportion of the UK market. The statistics showed an overall increase in the volume of lending to £23.4 billion, an increase of 5% from the position at the end of 2016. However, the number of clients using facilities through members of UK finance remained at 42,000, the same number as for the previous year. Anyone involved with the invoice finance and asset base lending markets will understand that whilst the overall number remains the same, there will have been a degree of churn within the total reported. Both customers switching from one provider to another and customers leaving the industry altogether. Depending upon the average client life that you assign, you can calculate the number of clients are likely to be lost from the industry, and therefore are required to be replaced, in order to remain at that status quo. The last time we made such a calculation, we estimated the average client life to be 5.28 years, within the invoice finance sector. Using that estimate for client life, it would indicate that approximately 8K clients would leave the sector each year, requiring the same number to be recruited in order to replace those losses - in order to retain the same overall number. There will also be the switches between providers that have stayed within the sector, but moved to an alternative company. The increase in lending volumes is interesting, as it is likely to reflect a combination of two things. Firstly, recruiting new larger customers to replace the loss of smaller customers, could account for part of that increase. However, it is also likely to reflect growth within the client base, as use of these products is intrinsically linked with being a high-growth business. You should also consider that the growth in lending volume will represent a proportionately larger growth in turnover. In our experience, typically an invoice finance user will borrow approximately 10% of their turnover value, at any time.